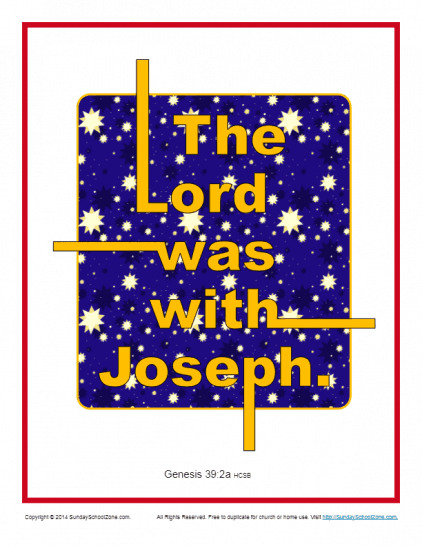 Scripture pages are professionally-designed pages with a Bible verse or phrase on them. These are great for kids to place on a wall or mirror as reminders. Each is designed to be printed on standard 8 1/2 X 11 paper. A simple Bible lesson or explanation is provided with each scripture page to help parents and teachers interpret the verse for children. More than God’s blessing, we need His presence in our lives. 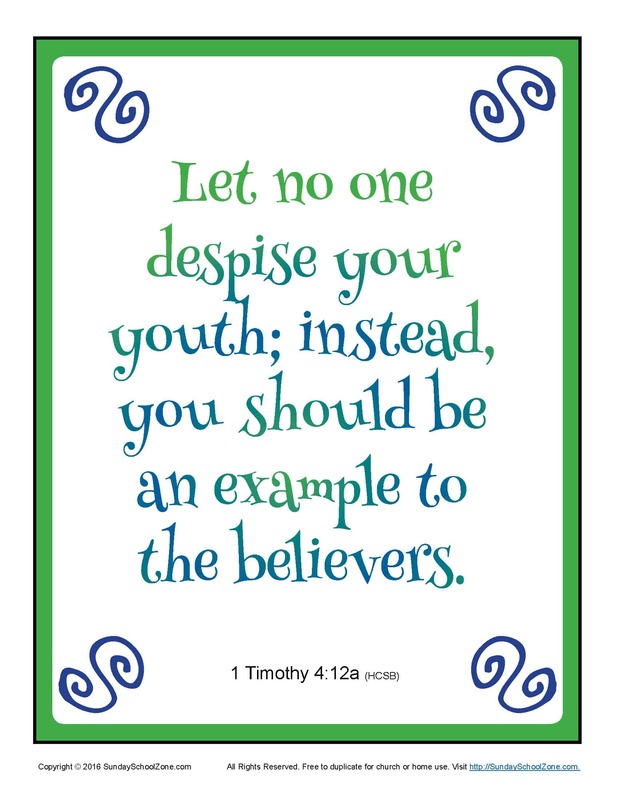 This scripture poster will help children learn this powerful truth. Abram (later called Abraham) was a man of great faith. 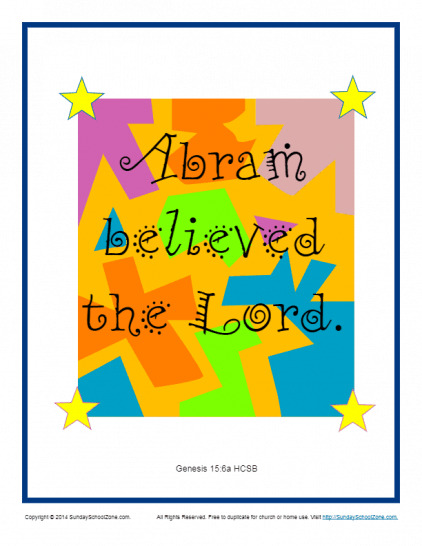 This scripture poster will remind children to trust the Lord just like Abram. Who has ever seen an ugly rainbow? 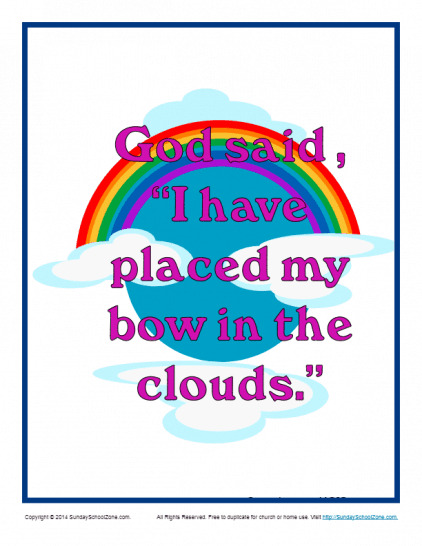 This scripture poster will remind children of God’s promise as well as His presence and grace in our lives. It can be placed on a wall or mirror as a reminder of God’s great faithfulness. We all need to hear that God can do whatever He chooses in our lives. 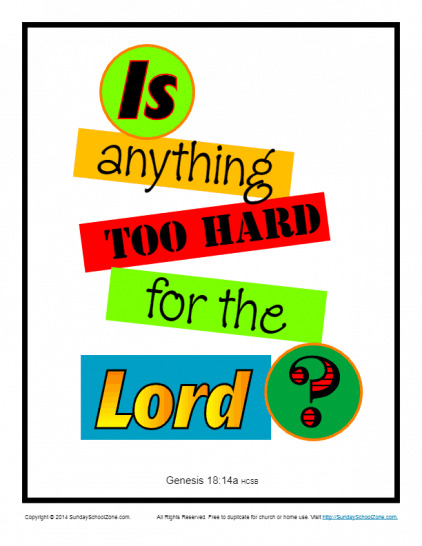 This scripture poster from Genesis 18:14 will remind children of this truth. Sometimes being faithful to God isn’t popular or easy. 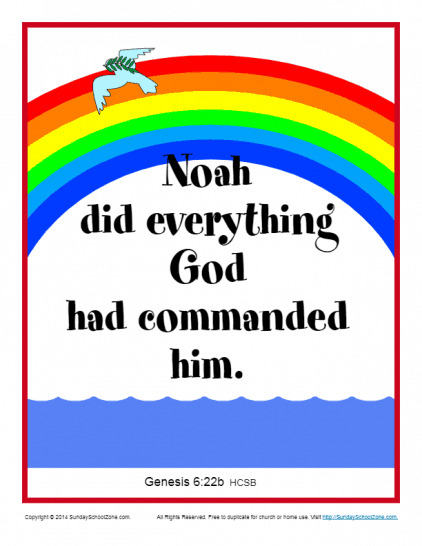 This scripture poster teaches children that Noah was obedient to God, even when it wasn’t popular and when the work was hard. Kids can understand this important Bible truth. Even kids may wonder if God is aware of their difficult circumstances. 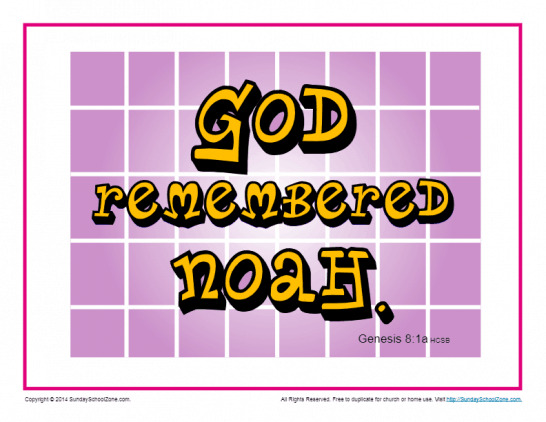 This scripture poster from Genesis 8:1 will remind children that God does, in fact, see them and remember them just as the Bible says He remembered Noah. 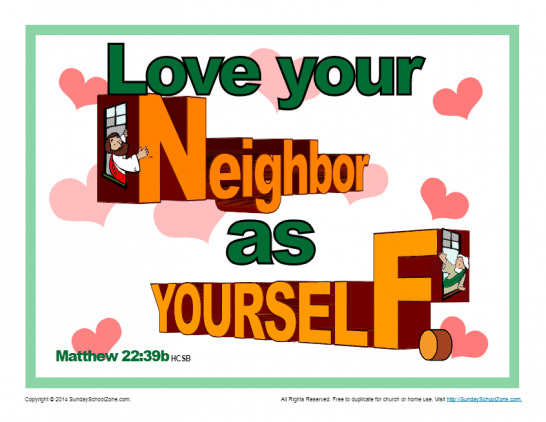 This Love Your Neighbor as Yourself Scripture Page is based on Matthew 22:39b where Jesus reminded us that we are to love others (our “neighbor”) as much as we love ourselves. This is a simple truth that children can easily grasp. 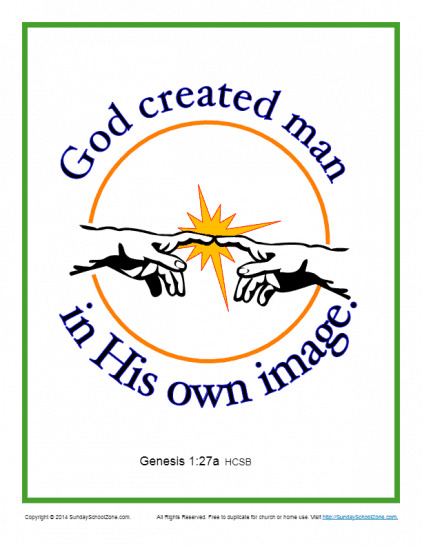 This scripture poster from Genesis 1:27 can help children understand where they came from and that God has a purpose for their lives. This scripture poster from Psalm 100:4 can help build faithful and positive children by reminding them that God is always worthy of our praise.